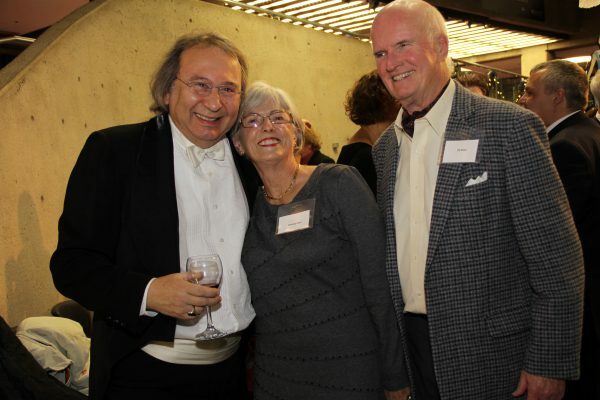 Symphony musician, Shimon Walt with his Musical Chair donors, Wendy and Eli Rees. Please click here to hear from Music Director Bernhard Gueller about the impact made by Musical Chair donors. One of our most popular fundraising programs, Musical Chairs is a unique opportunity for individuals to connect with members of Symphony Nova Scotia, to meet your peers and share your common passion: music. The funds raised through this program represent almost half of the support received from individuals. Contributions to the Musical Chairs Program are critically important to keeping classical music alive and well in Nova Scotia. To learn more, please contact Anne Laybolt at 902.421.1539 or development@symphonyns.ca.